2 + 2 beds2 baths1200–1399 sq. ft.
3 beds2 baths2000–2500 sq. ft.
5 + 2 beds3 baths1500–2000 sq. ft.
3 + 1 beds2 baths2000–2500 sq. ft.
1 + 2 beds2 baths1000–1199 sq. ft. There are a variety of property types to choose from when looking for real estate in Roncesvalles. There are 13 houses, 3 townhouses, and 8 condos for sale. For past listings, search our Roncesvalles sold listings and Roncesvalles expired listings The average listing price in Roncesvalles for all home types is $1,269,417, which is 33% higher than March 2018. The average list price differs significantly when broken down by home type. The average listing price of a house is $1,562,714, $725,929 for a townhouse, and $792,811 for a condo. 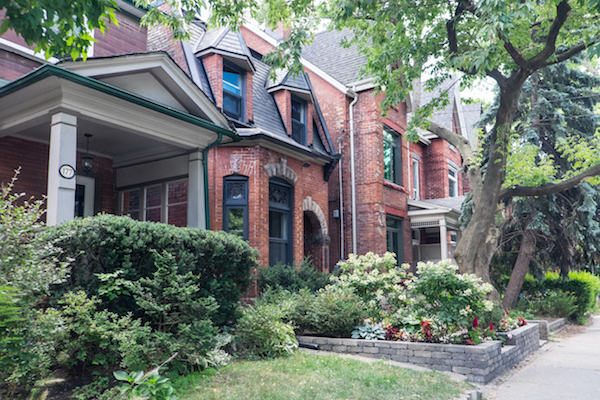 There are many popular neighbourhoods surrounding Roncesvalles, including Brockton Village, Parkdale, North Parkdale, Junction, Junction Triangle, South Parkdale, Wallace Emerson that offer a variety of home prices and unique areas to live. Roncesvalles also has many options for renters with 21 active rental listings and an average lease price of $2,775. Roncesvalles Village is a niche community located in southwest Toronto, famous for its rich Polish heritage, High Park, and wide array of small businesses. Nestled amid the communities of Parkdale and High Park is Roncesvalles Village, one of Toronto’s trendiest - and most beloved - neighbourhoods. 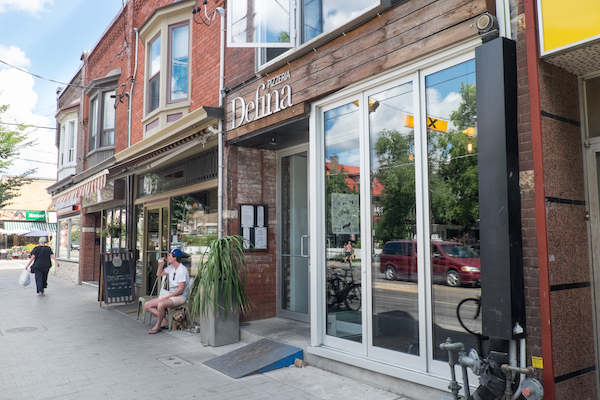 While mostly residential, the village, which is located along Roncesvalles Avenue between King and Queen Streets and Bloor Street, is home to an eclectic mix of independent retailers, fine dining, and quirky neighbourhood haunts. Whether you’re looking for a one-of-a-kind outfit, a home-cooked specialty, or a peaceful nature stroll, you’ll find it in this truly special community. Roncesvalles is known as Toronto’s “Little Poland”, as many Poles immigrated to the neighbourhood following the second World War. As a result, there are many Polish shops, restaurants and delicatessens operating within the community, which is also the site of the largest annual Polish festival in North America. Five per cent of the overall population are Polish speaking, in addition to Hungarian (3.5%) and Portuguese (3.4%). Located close to the downtown core and neighbouring some of Toronto’s trendiest central and west-end neighbourhoods, Roncesvalles – affectionately referred to as “Roncy” - is also hugely popular with millennials, who enjoy the area’s eclectic assortment of unique shops, bars, and restaurants. As the majority of businesses are accessible by foot, and the neighbourhood is well serviced by TTC streetcar, bus and subway service, it has a great walk score and it a good residential option for those who commute to the downtown core. And, with several highly-ranked local schools and nearby High Park, walking, and bike trails, it’s considered one of the best downtown neighbourhoods to raise a family. 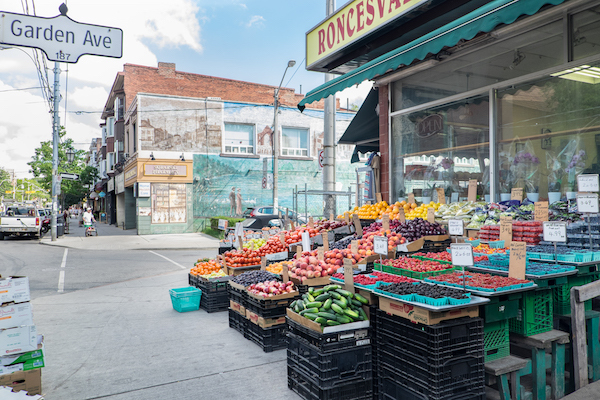 Roncesvalles is one of Toronto’s oldest neighbourhoods, established in 1850 by Colonel Walter O’Hara who, after immigrating to Canada, settled in the area and named it for Roncesvalles, Spain. Many of the area’s homes reflect this rich history, built at the turn of the century in Victorian and Edwardian styles, and have been lovingly maintained to preserve their unique character. Located on spacious lots and flanked by mature trees and foliage, Roncesvalles homes are among the highest-in-demand on the Toronto real estate market. It’s no wonder Roncesvalles is so highly sought by home buyers – not only is it located close to the downtown core, but it’s a fabulous destination for nature and outdoor enthusiasts. A big draw is High Park, a 400-acre green space that includes forested trails, a pond, petting zoo, and playgrounds, and is also the annual bloom site of rare cherry blossom trees. The neighbourhood also includes some of Toronto’s best running and biking paths, making it a mecca for outdoor fitness activities. However, it’s the tightknit resident and small business community that make Roncesvalles truly unique. Described as having a small town appeal with eastern European influences, the neighbourhood is a popular day and evening destination for both locals and tourists. In addition to a bustling retail and dining scene, Roncesvalles Village hosts several annual events including the June Roncy Rocks Festival, a celebration of local art, food, and music. 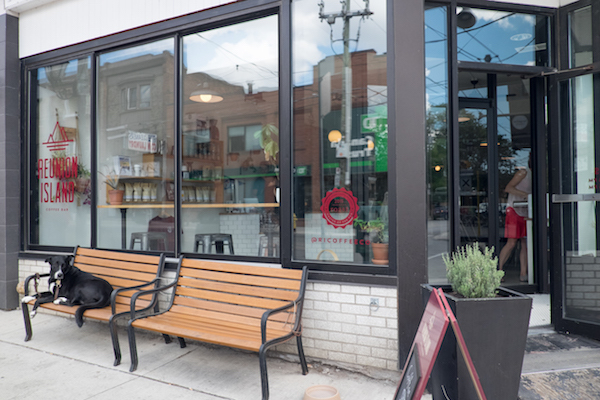 One of Roncesvalles’ most notable features is its extensive selection of restaurants, cafes and shops, many of which are small business-owned. Much of the neighbourhood’s commercial area is located along Roncesvalles Avenue, which runs north-south between King Street and Bloor, which additional businesses located on surrounding Queen and Dundas Streets. Retail and Dining destinations include: The Ace, Barque Smokehouse, Fresh Collective, and Likely General.